People die trying to look cool. 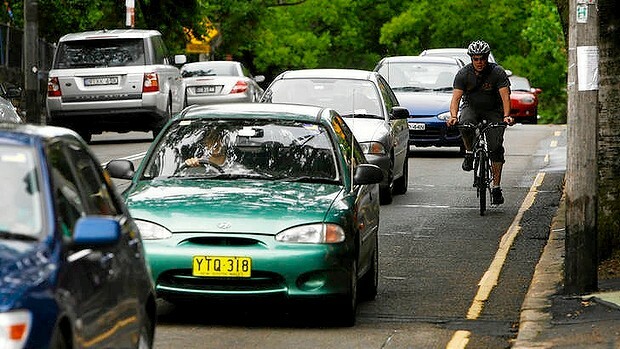 Vanity is the sad reason why people don’t wear bike helmets. 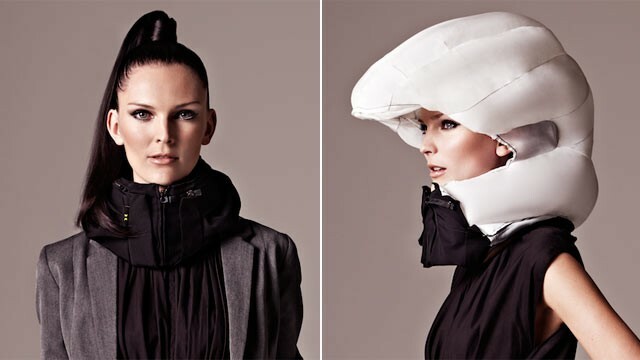 So two Swedish women set out to invent “the invisible bicycle helmet”, They’ve succeeded, and the end product isn’t a made of clear plexiglass and there’s no lightbending-stealth technology. In fact it’s not really a helmet at all. Hövding is a rapidly-inflating airbag that deploys from a collar around your neck when you’re in an accident. Here’s how it works, and a video demonstrating this amazing, but still expensive, invention. The invisible bicycle helmet uses rechargeable battery-powered accelerometers and gyroscopes that detect the typical motions involved in a bike crash. They trigger a tiny gas inflator which instantly fills a nylon airbag with helium. The bag forms a hood around your head that cushions the impact of the street, a car, or anything else you slam into. The product and company named Hövding began as the industrial design master’s thesis of two students, Anna Haupt and Terese Alstinat, at Sweden’s Lund University. After five years of research and $10 million in funding, they’re now selling the invisible bike helmet. It’s not cheap, though. Hövding costs $600 and only works once. There’s also been some complaints about the design and an early version had trouble with the zipper. But considering the potential hospital bills, and you know, the risk of death, it might be a good investment for fashion-forward bikers. Really you should just be confident and realize that wearing areal bike helmet doesn’t make you uncool. But if that’s too much to ask, at least consider a Hövding.